Stop! Don’t buy that heat transfer paper just yet! This may sound like the most ludicrous thing for a company that sells transfer paper to say. But as much as we would love to sell you any and every paper, it is more important to us that you find the right heat transfer paper for the job. If you’re new to printing with heat transfer paper, that’s exciting! Heat transfer paper is one of the most effective methods for creating high-quality custom T-shirts and garments. It’s also incredibly easy to use – decorators of all backgrounds and experience levels can jump in and start creating products with heat transfer paper. The process first involves printing a design or photo onto a sheet of transfer paper with an inkjet or laser printer, then placing the paper on top of the shirt and applying heat and pressure using a heat press*. That’s it! *A conventional hand iron will work in some cases, but for the best, most consistent results, we recommend using a quality heat press. 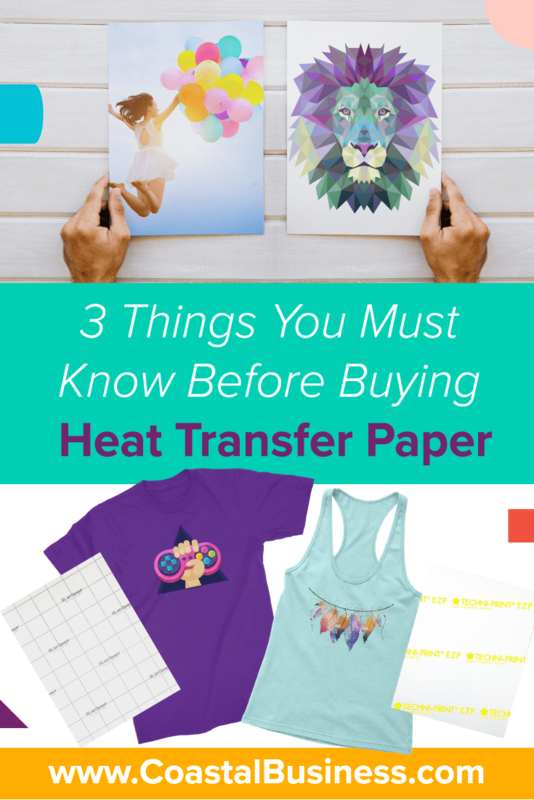 While printing and pressing with heat transfer paper is very straightforward, there are several important things that you should know before you buy your first pack of HTP. Knowing these factors and understanding their impact will ensure you get the right paper – and save you potential headaches and money. Before you dive head first into the wide world of heat transfer paper, begin by asking yourself a few questions. 1. Do you have an inkjet or laser printer? Heat transfer papers are designed to work with either inkjet or laser printers and are not cross-compatible. So, if you have an inkjet printer, you will need inkjet transfer paper. If you have a laser printer, you will need laser transfer paper. Not sure what you’ve got? Don’t worry! There are several ways to find out what kind of printer you have. Most printers display their model name on a label found somewhere on the printer’s surface. Some printers even have “laser” or “inkjet” referenced in their name. Scan the exterior of your printer to find the model name, and if it does not specifically say “laser” or “inkjet”, a quick Google search of the model should tell you what you are working with. 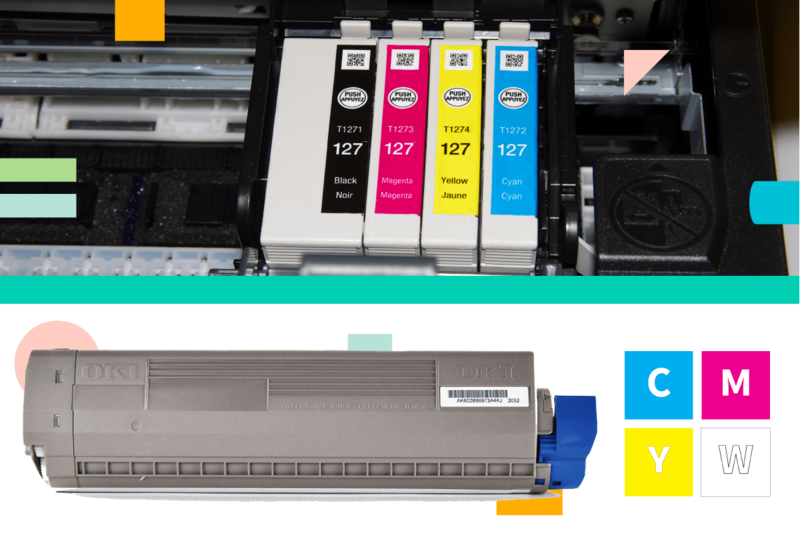 Another way to determine whether you have an inkjet or laser printer is to physically open your printer and see if there are ink or toner cartridges inside. Ink cartridges are typically small, box-shaped and carry liquid ink that you can sometimes observe at the bottom of the cartridge. In contrast, toner cartridges are generally much larger and longer. They’re filled with a toner powder instead of ink, though you likely won’t be able to see this. When in doubt, feel free to give the manufacturer or the company you purchased the printer from a call and have them confirm your printer type – they may even have some insight on which HTP works best with your model! 2. 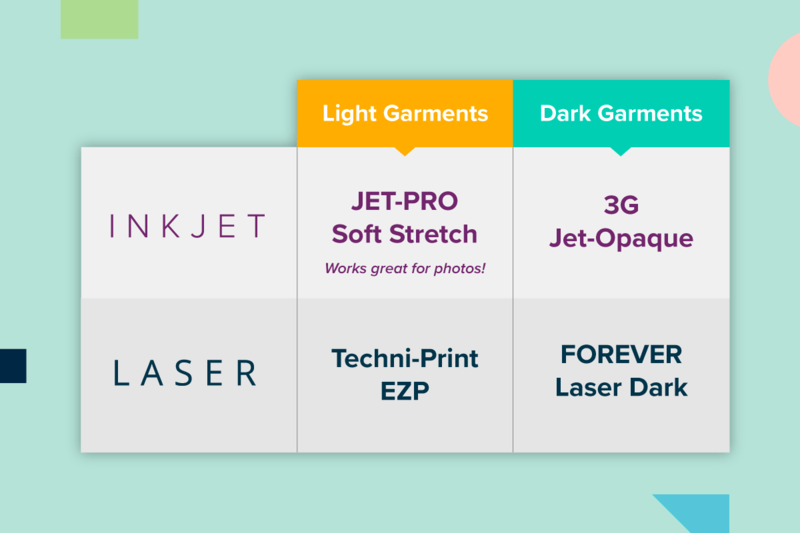 What garment color will you print on? This particular question is critical: are you planning on printing on light shirts? Darks garments? Both? This information is important to know because white and light-colored fabrics require a different transfer paper than black and dark-colored fabrics. The reason for this is that ink and toner rely on a white background to be visible and produce accurate color reproduction. On dark backgrounds, ink and toner become translucent and are hardly visible. Therefore, transfer papers for darks have a white backing or coating underneath your print, allowing for accurate, vivid colors. On the other hand, transfer papers for lights have only a clear transfer layer that carries the design to the garment. If you’re just starting out, don’t let this confuse you – and don’t get too caught up in the details! The main thing to know is whether you’re printing on lights or darks—and to remember to use the correct corresponding paper. 3. What kind of artwork are you printing? One final factor to consider before purchasing heat transfer paper is what type of artwork you plan on printing. 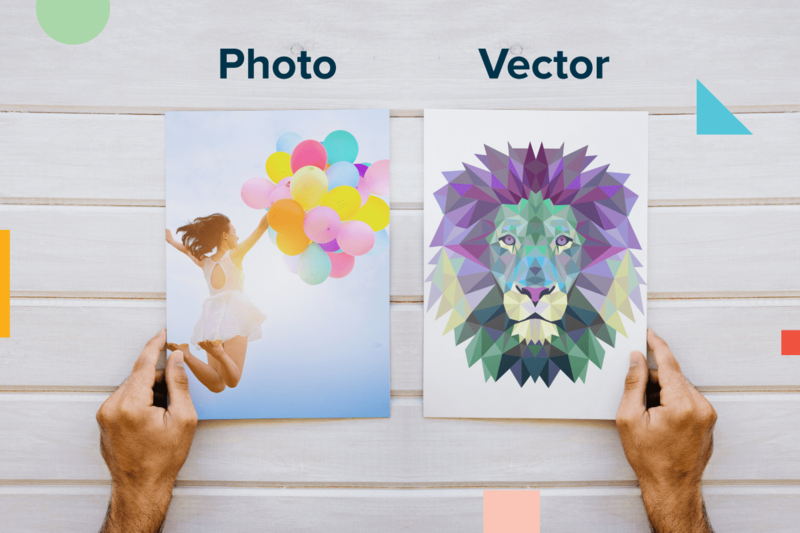 Are you looking to print photos with a high level of detail, or does your artwork better resemble vector-style graphics? Vector graphics at their simplest form are line or shape-based designs or illustrations that you can create using design programs such as Adobe Illustrator and Corel Draw. They’re the most common style of artwork to print using heat transfer paper. If vector-style graphics are your game plan, you’re in luck! Virtually all heat transfer papers (laser or inkjet, light or dark garments) do a great job printing vectors. However, if you would like to print photos, keep in mind that you’re slightly more limited in which heat transfer paper you can use. With photos, your best bet is inkjet transfer paper for lights. Inkjet printers can print a full range of colors, which is ideal for realistic, high-quality photos. Inkjet transfer paper for darks will work, but they come with a small caveat. Inkjet transfer paper for darks is comprised of an opaque, white coating that is thick, and you will be able to feel that layer once the image is transferred to the shirt. Laser transfer paper is more difficult for photos because standard laser printers (using cyan, magenta and yellow toner) are manufactured to achieve very bold colors. 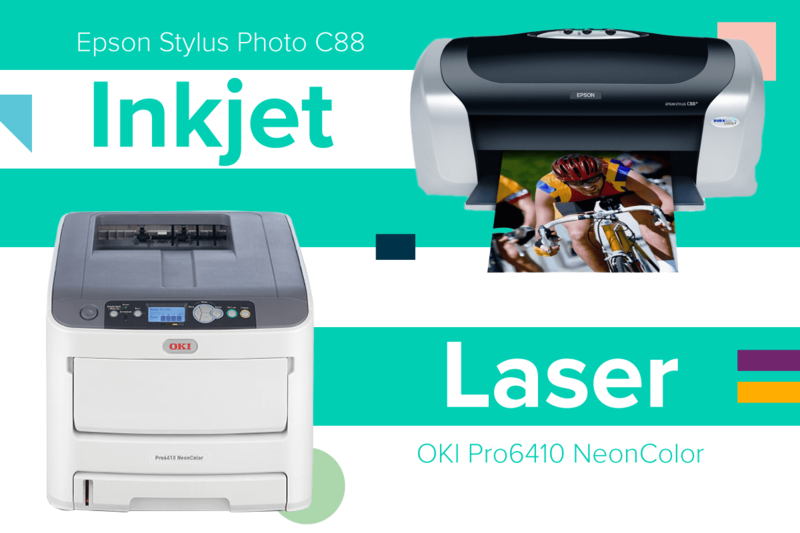 Only with a more advanced laser printer that also utilizes white toner (the OKI C711WT is a great option) can you print the broad range of colors you need for photos with a lot of detail. Hopefully all of these HTP factors don’t scare you off! It can be a lot to remember, but once you begin creating with transfer paper on a routine basis, these things will become second nature. As a rule of thumb, if you’re looking to print photos, start with inkjet heat transfer paper for white and light-colored garments. 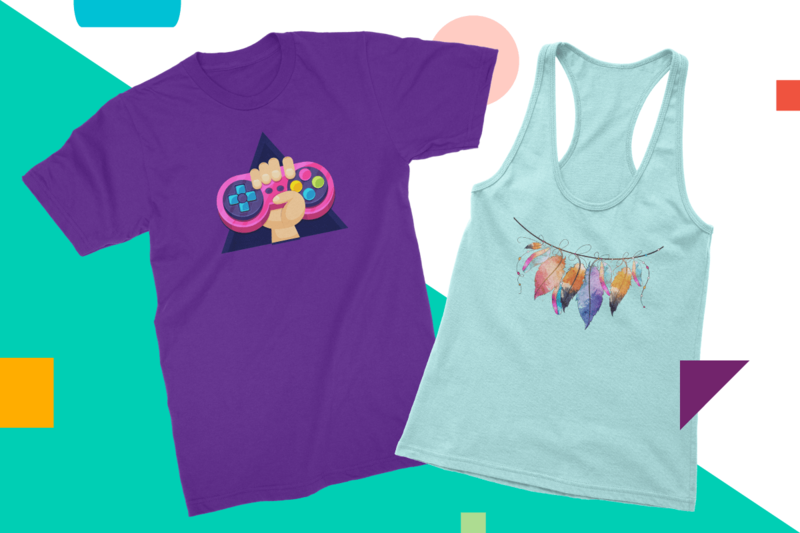 For vector art, you’re safe with any heat transfer paper. Looking for recommendations? Here are some of our top picks for each category! Alright – you’ve got the green light to start shopping! You should now be ready to pick out your heat transfer paper! If you still have questions, don’t hesitate to give our Customer Success Team a call at 800 562-7760 or email us at [email protected]. We’re more than happy to answer all your questions and help you find the right transfer paper for the job!